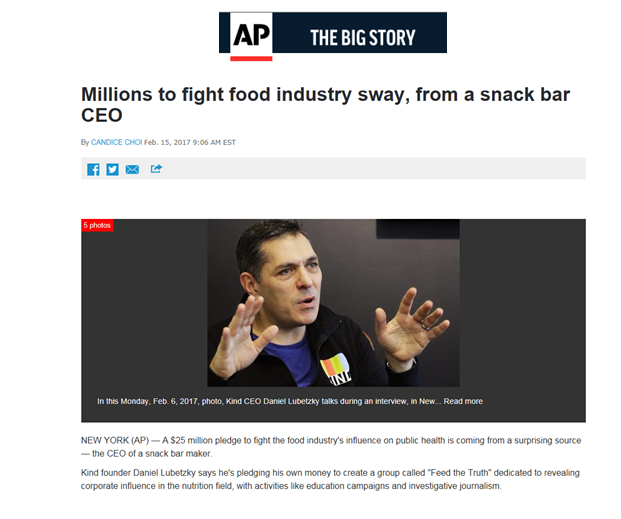 In effort to provide a source of transparency and integrity in the food industry while improving public health, CEO and founder of KIND Snacks Daniel Lubetzky has pledged $25 million toward “Feed the Truth,” an organization that will operate independently from the snack company. Drinking a glass of wine is just as healthy as going to the gym. Cheese is as addictive as crack. Fat, not sugar, is to blame for America’s obesity problem. Lubetzky has pledged $25 million to fund the public health advocacy group in order “to offset self-serving industry agendas at the expense of public good,” a press release stated. The word “dangerous” here is hardly hyperbolic. 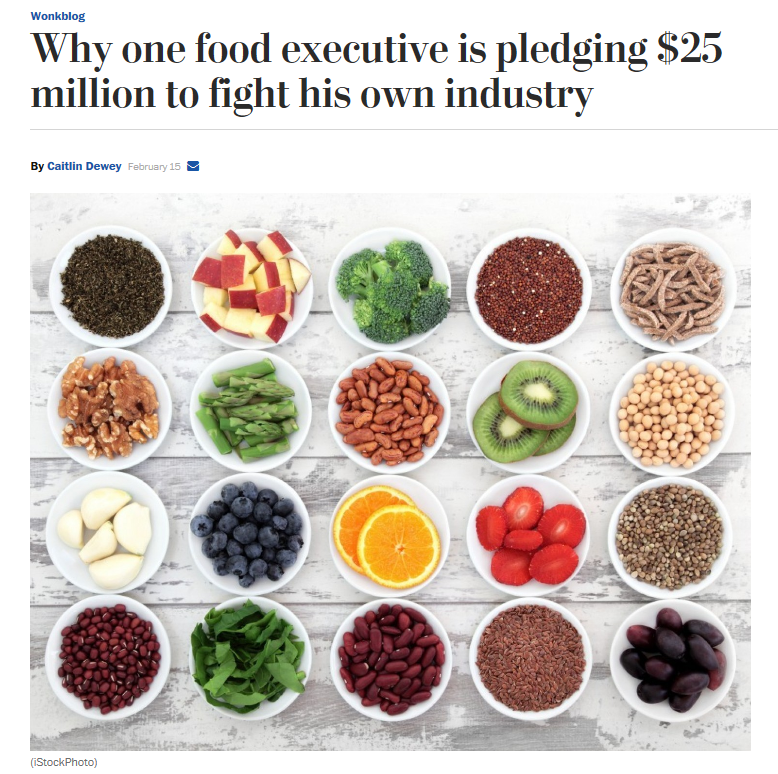 NEW YORK (AP) — A $25 million pledge to fight the food industry’s influence on public health is coming from a surprising source — the CEO of a snack bar maker. 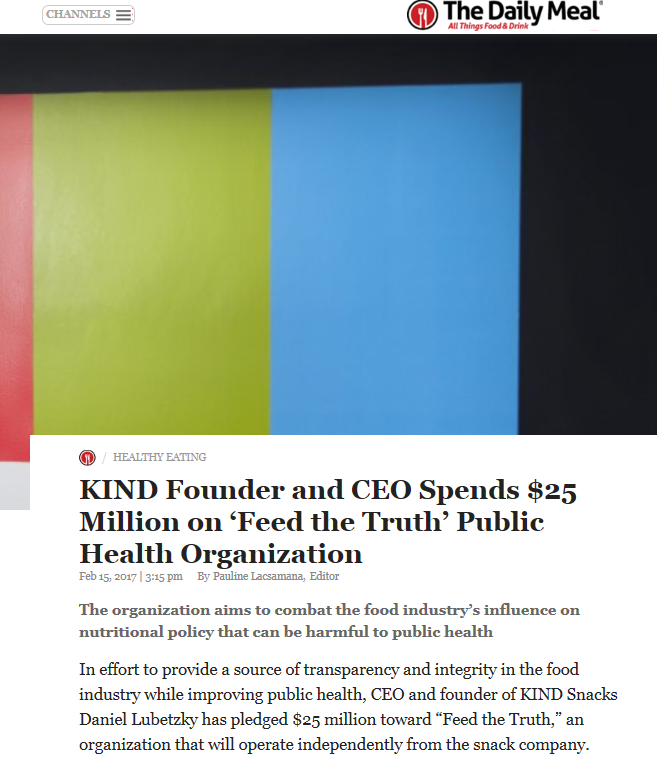 Kind founder Daniel Lubetzky says he’s pledging his own money to create a group called “Feed the Truth” dedicated to revealing corporate influence in the nutrition field, with activities like education campaigns and investigative journalism. Today I am announcing the launch of Feed the Truth, an independent organization that will seek to improve public health by making truth, transparency and integrity the foremost values in today’s food system. This initiative grew out of my journey at KIND. In March 2015, KIND received a warning letter from the U.S. Food & Drug Administration (FDA) regarding our use of the term ‘healthy’ as a nutrient content claim. 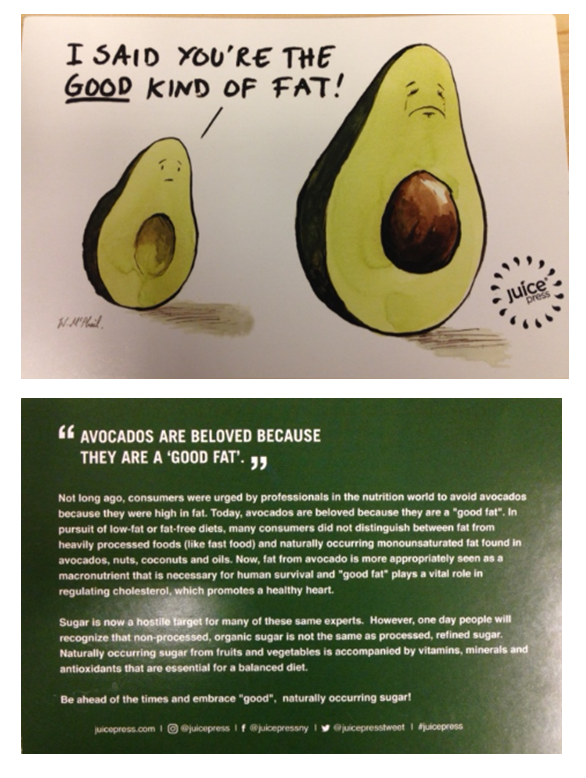 We quickly learned that the FDA’s guidance – which was established over 20 years ago – limited total fat intake, regardless of source or type, and prevented nutritious foods like nuts, salmon and avocado from being labeled as ‘healthy.’ In turn, our team educated the public about this discrepancy and propelled the FDA to bring the definition of the term ‘healthy’ up to date with modern nutrition science. While I’m proud of this win for KIND, I have since learned that there is a lot more work to be done. In September, there was a shocking revelation that gave us a window into how the ‘healthy’ regulation was formed. A JAMA Internal Medicine report found that in the 1960s the Sugar Association funded scientific studies to diminish findings that linked sugar consumption to poor heart health. Instead, the Association used industry-funded research to vilify fats – an act that would go on to directly inform the government’s dietary guidance, spur a surge of low-fat, high-sugar products, and ultimately, distort consumer understanding of all dietary fat. But this is just one of many examples of special interests having a direct, negative impact on public health. 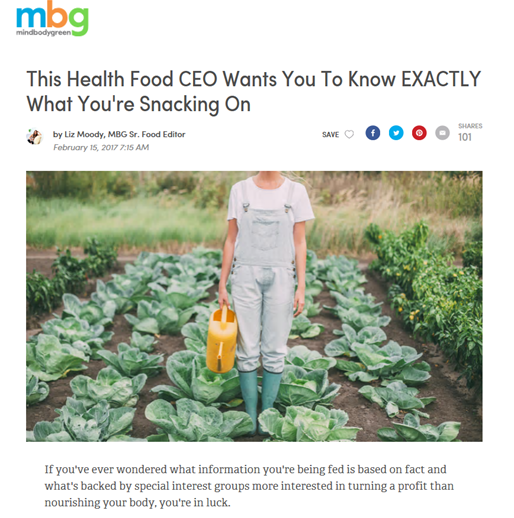 Our society deserves access to unbiased and balanced nutrition information. 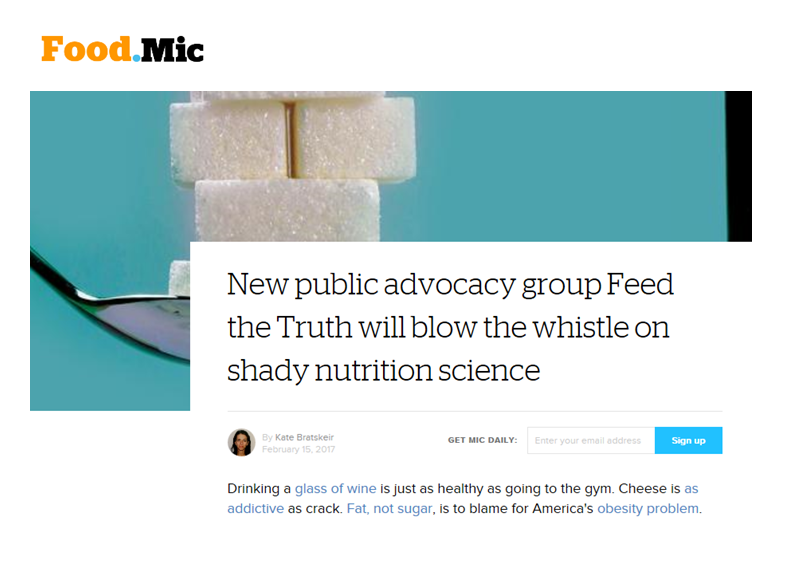 Feed the Truth will seek to ensure that unbiased science overrules special interest groups by revealing and counteracting the industry’s undue influence in shaping dietary guidance, among other activities that are detrimental to public health. Since the issuing of the travel ban last week, I’ve been in conversations with friend, family and colleagues. Below I’m sharing the note that I sent to my team on Tuesday. The last several days have been emotionally draining and difficult for many of our team members. We are witnessing a continued unraveling of the civility, respect and common cause that have made America such a unique example for our world. Some of us have been debating how to respond in a meaningful way to try to bridge gaps, foster empathy and understanding, and use the force of KIND to unite our country. In the meantime, I wanted to share some personal thoughts. Executive orders announced on Friday banning refugees and citizens from 7 predominantly Muslim countries (initially including dual citizens and green card holders) from traveling to the United States particularly concerned me. As many of you know, I am an immigrant AND the child of a refugee. My dad survived the Nazi concentration camp of Dachau during the Holocaust and was liberated by American soldiers in 1945. John Leahy’s dad was among the war heroes that risked their lives to save innocent people they had never met. It is that courage and kindness that has most defined America to me. Coming from Mexico, I grew to appreciate and never take for granted the rule of law, free enterprise system, freedom of expression, and moral fiber combining strength and compassion that have made our economy strong and our society so vibrant.